That didn't take long! I've now accomplished the first of my goals for 2012, getting a new bike. 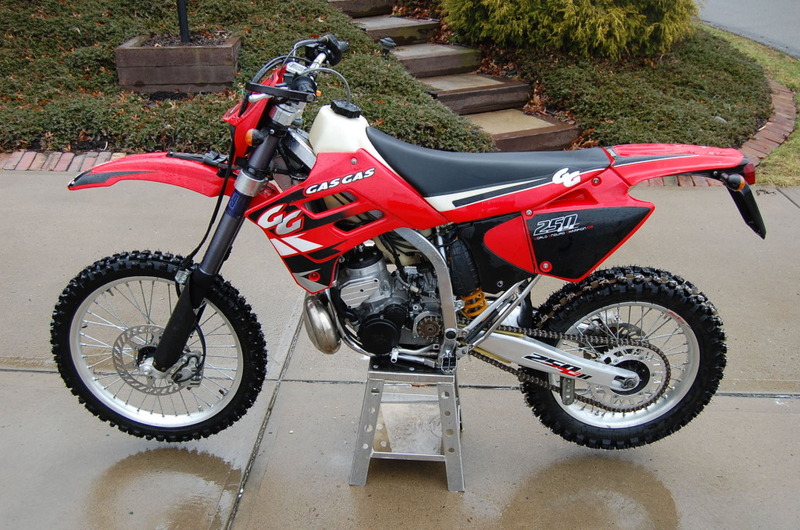 I picked up this nearly mint 2003 Gas Gas EC 250 from a fellow RCR member yesterday. It's been very well cared for, is already dual-sported and has a few trick parts on it as well. While I wait for the weather to improve a bit I'm going to add some armor (skid plate, radiator brace/guard). I'm also planning on a Rekluse auto clutch, but I want to get a few rides in on it in current trim first just to get a feel for it. This will be my bike for single track or those dual sport rides that are mostly off-road. The DRZ is now freed up to be more of an adventure bike and will still see it's fair share of use this season.